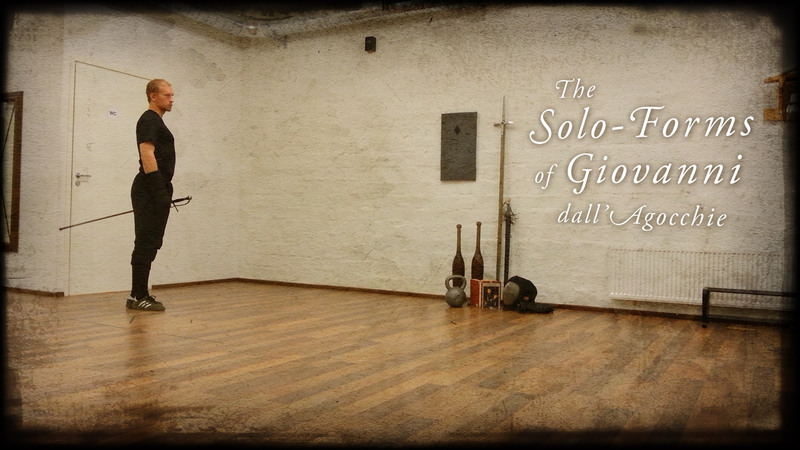 Two of the most fundamental aspects of Bolognese swordsmanship (and other styles just as well) are the guards, the positions that outline the physical movements within the style, and cuts and other attacks that effectively are these movements. These two aspects are inseparable, as described by Angelo Viggiani and other masters. Pedagogically I believe these two need to be learned at the same time, since without one it is difficult to understand the other: without knowing the guards it is not easy to understand the paths (and the defensive function) of the cuts, and without knowing the cuts it is not easy to understand the correct placement of each guard. Still, to my mind the cuts are the most important aspect of swordsmanship, since without them the guards would be without their offensive qualities. Attacks with the point are of course or equal (if not more) importance. As Angelo Viggiani explains to us, the actions of the sword are three-dimensional, where width and height are determined through cuts (mandritti and riversi being the sides, fendenti and montanti being the high and low) and the depth determined by the thrust and its withdrawal. For the current discussion however, we will abandon the thrust and examine it at a later time. In the above video I describe the cuts used in the Bolognese tradition, as well as how to execute them and how to step while doing so. In the end of the video I give also ideas on how to practice. For easier access (since the video is 22 minutes in length), here is a list of contents with direct links to the various sections and a brief overview of the contents. The names of the cuts, and the terminology used to group them into those originating from the right and to those originating from the left. Here described are the primary cuts done with the true edge: the fendente, sgualembrato, tondo and ridoppio. These are shown both from the sword-hand side (<span class="glossaryLink cmtt_Strikes" data-tooltip="
Literally "right hand". Refers to strikes that originate from the right (sword-hand) side of the fencer. Mandritto is a roof term for these cuts, but on its own it refers typically to a downwards diagonal cut from the right with the true edge, a mandritto sgualembrato. ">mandritto) and backhand side (roverso). Explanation of the two ways in which most cuts can be executed, either leaving the point in line or letting it travel across. The concept of mezzo tempo is also briefly discussed. Examples of how each cut can be executed from different guards. If the point is in line to begin with, a preparatory action taking the point off line is required before the cut can be delivered. A look at the four primary ways of stepping that can be done while delivering the cuts: passing with both feet, making a half-pass or a lunge and the so-called “chasing step”, done so that the back foot is brought close to the front foot before stepping forwards with the front foot. A description of important “secondary” cuts: the falsi done with the false edge, the tramazzone and the molinetto**. A brief, quick overview of the previous material. Useful for quickly checking the terminology. Here shown is the anatomy of one of our basic cutting exercises, and how it can be used as a base exercise for learning the cuts of the Bolognese tradition. When watching the video, notice the overlaid segno on the wall shows the directions of the cuts from the viewer’s perspective, just like in most original treatises. This means that the cuts may at first seem to be the opposite of what I am doing in the video, since I am facing the viewer instead of lookin at the segno. According to Achille Marozzo, the segno is designed to be painted on a wall, which determines the correct way the arrows should be placed. 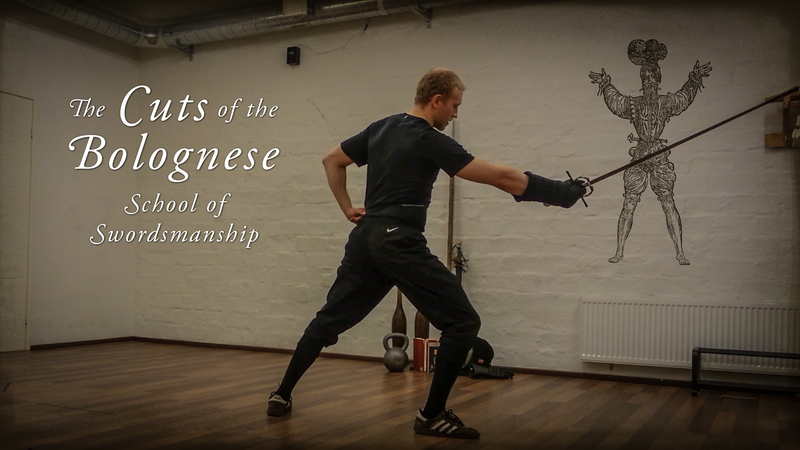 Whether you wish to learn the Bolognese style of fencing physically or whether your interest is more academic, I can not stress the importance of learning both these cuts and the guards. While most of them are rather universal and easy to perform, the knowledge of their names and gathering whatever information is available from the examples the masters left us with is the foundation of understanding this art. 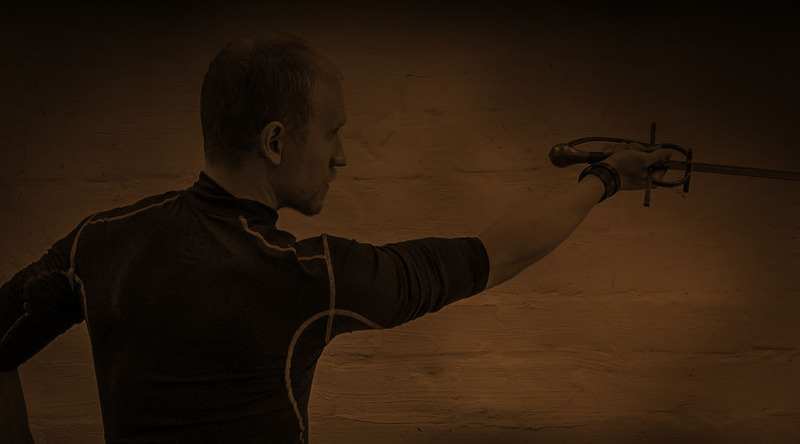 They are also the means through which we can today discuss swordsmanship and pass it on to our friends and students, exactly in the way they did back in the 16th century.